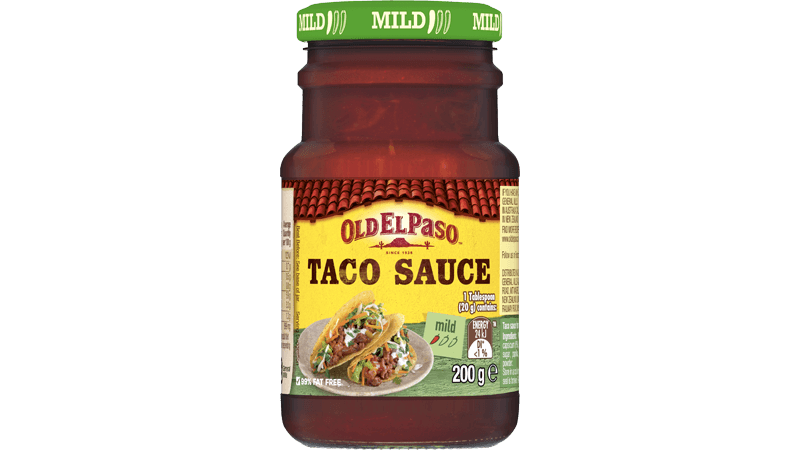 This Old El Paso™ recipe makes 10 Chili Beef Tacos with Fresh Tomato Salsa. 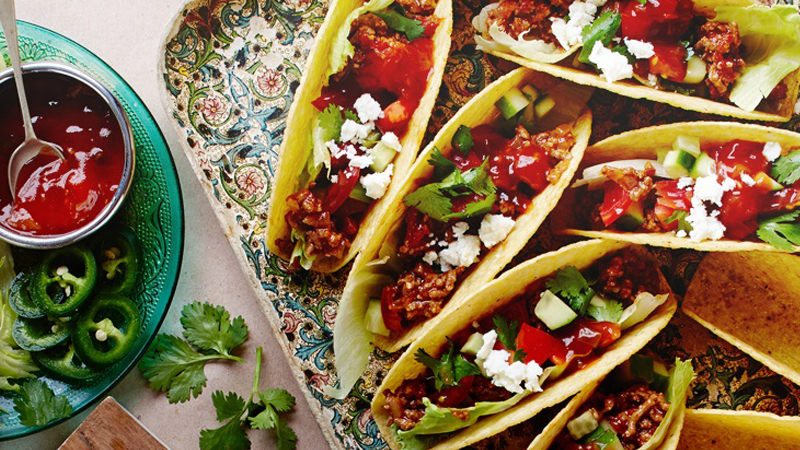 Create this delicious meal using our Stand ‘n Stuff™ Taco Shells, Chili Spice Mix and Taco Sauce. 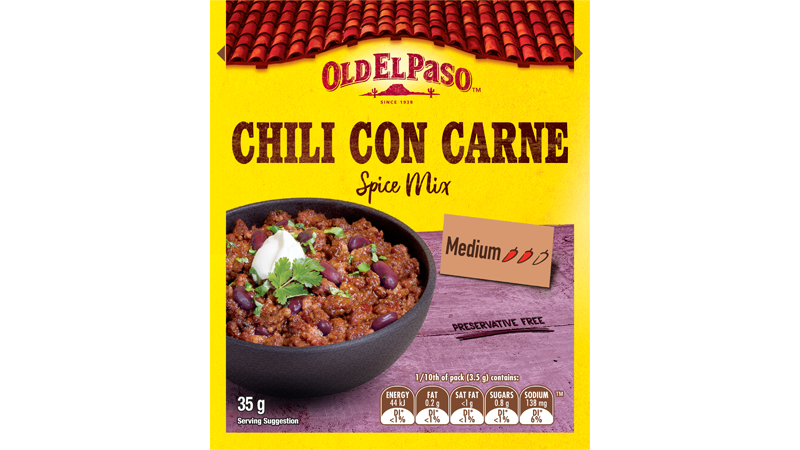 Just add fresh ingredients like lean beef mince, tomatoes, jalapeño chili, fresh coriander and this Mexican meal is sure to please at lunch or dinner! 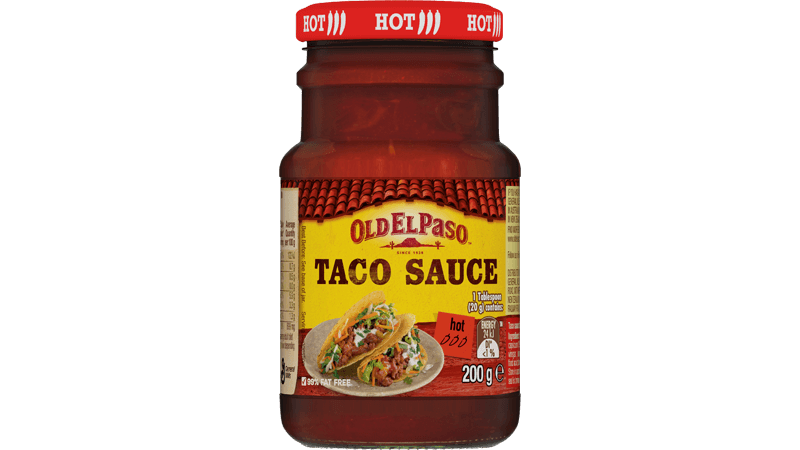 Heat a little oil in a frying pan, add onion and cook over a medium heat for 5 minutes or until soft. Add beef mince and Chilli Spice Mix, cook for 5 minutes, stirring with a wooden spoon to break up lumps. Add canned tomatoes and water. Simmer for 5 minutes or until sauce thickens. To create a Fresh Tomato Salsa simply combine tomatoes, red onion, cucumber, coriander and lime juice. 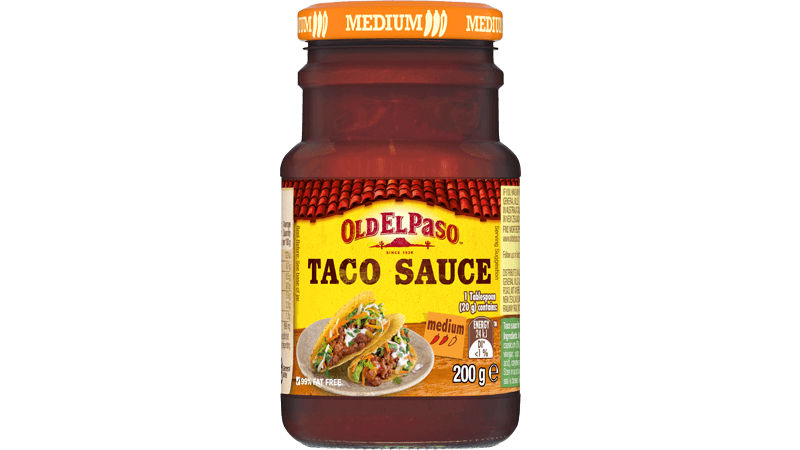 Serve crunchy Taco shells, chili beef, fresh tomato salsa, Taco Sauce and other fillings to the table and everyone can build their own taco any way they like!